Matthew C Bell Great track that always adds some serenity to the day. :) Favorite track: Sunken Garden. Order the album as a hard copy CD in a plastic jewel box with tray and back panel with amazing original artwork by Greg Klamt of Digital Daydreams. Includes unlimited streaming of Two A.D. via the free Bandcamp app, plus high-quality download in MP3, FLAC and more. The Waveform label started life in 1993 when a being from England's Beyond record label (inventors of the term "Ambient Dub") visited the UFO filled canyons of Sedona, Arizona, and there mind melded with a radio DJ who had been playing the new ambient, electronic and sometimes dance influenced experimental music emanating mainly from England and Europe. Twenty minutes later, the new Waveform label was born. 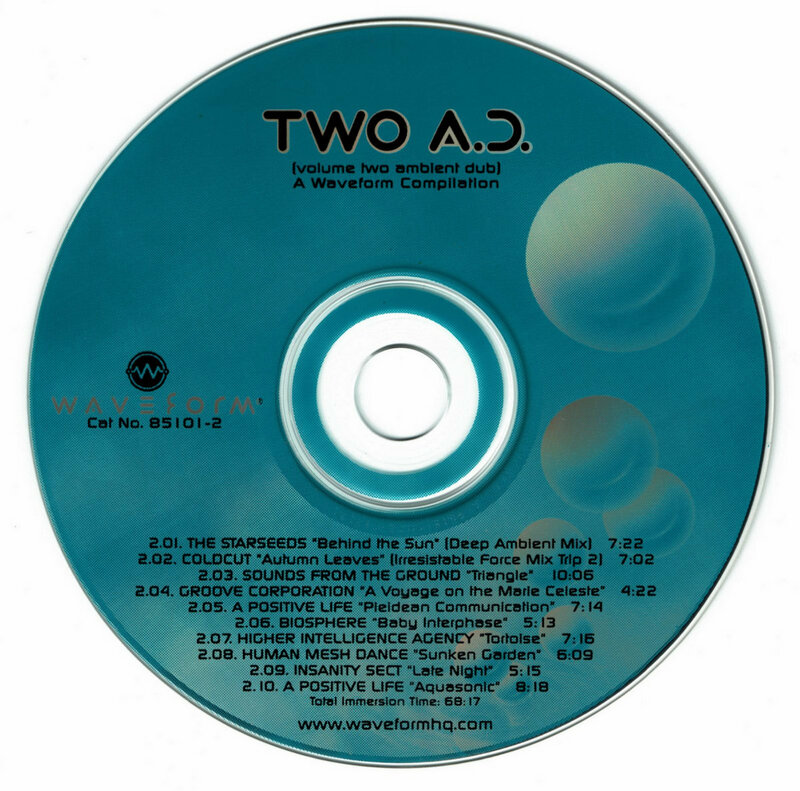 1994 saw the new label's first release, the compilation album "ONE A.D." (volume one ambient dub) and the "Colourform" album from England's Higher Intelligence Agency. It's 1995 and Waveform's reputation for quality (probably) will be further enhanced by our first release of the year, our new compilation, "TWO A.D." featuring ten stunning and mostly new tracks from wizards of the new electronica such as Biosphere, A Positive Life, The Groove Corporation, Coldcut, Insanity Sect and others. Rhythmic, melodic and conceptual, "TWO A.D." tracks encapsulate a laid back celebration of being alive, somewhere on the outer margins of dance-influenced electronic music. Just the thing for those soft, stay at home sessions with your significant other. A word of CAUTION, the A.D. series features recordings which have been spatially expanded using three dimensional sound imaging systems. You may find yourself wigging out with your walkman. "TWO A.D." Wayward melodies for the jaded and discerning. A rare combination of style and substance, where conventional melodic structures are extruded and re-shaped into something both alien and strangely familiar. Think of it as electronic sofa music for the new ambient frontier. Ambient - surrounding, encircling, encompassing on all sides. Dub - to replicate or re-invent, turning rational order into an ocean of sensation. 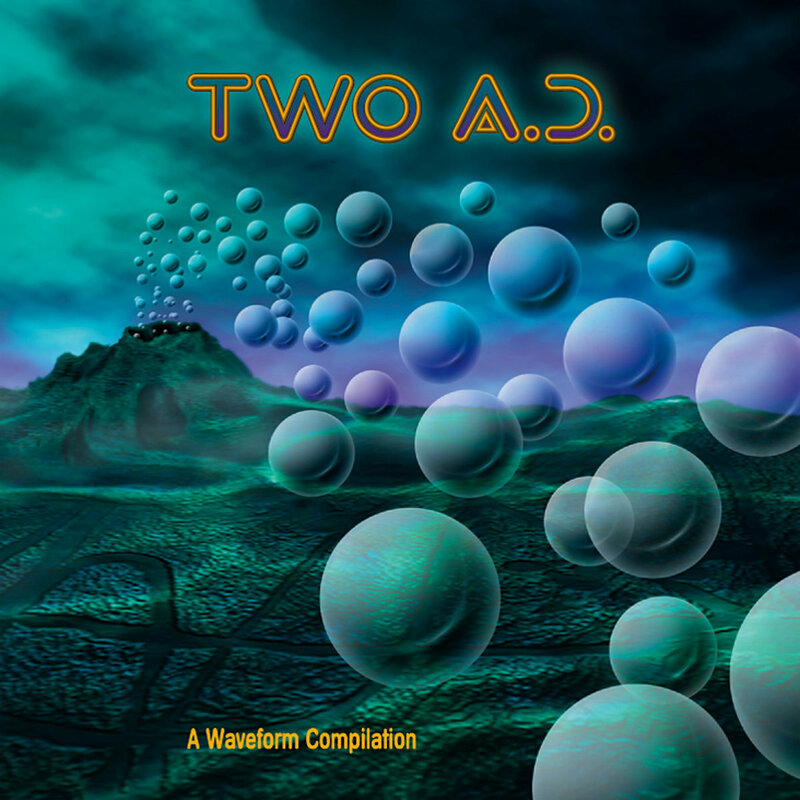 another review of "Two A.D."
"In many respects, the ambient music movement has become as bloated and stulifying as the worst art-rock of the '70s, moving further away from the dancefloor towards self-indulgent electronic doodling. There are, however, a handful of producers who still seem able to breathe some life back into this moribund genre. A number of those artists are featured on this exemplary compilation, which stands out among the endless streams of ambient compilations that fill record-store racks. To begin with, the highly talented Coldcut's "Autumn Leaves" (mixed by Irresistible Force), a long-out-of-print gem, is featured here, immediately preceding the gorgeous, celestial wanderings of Sounds From the Ground. 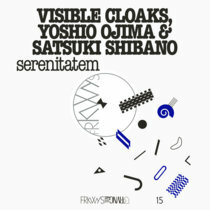 Ambient stalwarts Higher Intelligence Agency and Biosphere also contribute tracks to this second in a series of ambient collections from the Waveform label. The variation in aural textures here is impressive, from the chanted dub atmospheres of Groove Corporation to the quietly menacing "Late Night" by Insanity Sect. If you only acquire one ambient collection this year, "Two A.D." should be it." --CMJ New Music Monthly (July, 1995).